Justice Policy Institute, which is a non-profit organization, said in a recent study that states such as Kentucky, Wisconsin, Illinois and Oregon and other jurisdictions such as Washington, D.C.; Broward County, Florida; or Philadelphia, Pennsylvania all but have eliminated bail bonds. The JPI has argued that bail bonds need to be eliminated because it is detrimental to poor communities especially communities of color. Bond is money paid to help those accused of a crime to stay out of jail until there is a trial. But the complaints have been that the bonds set are too high for some to pay; therefore it should be eliminated all together, but is that the right idea? First of all, instead of having to pay a full amount to get someone out of jail, you are just paying a small percentage to get them out. It may be as low as a few hundred dollars, which is much better than paying thousands to get someone out. 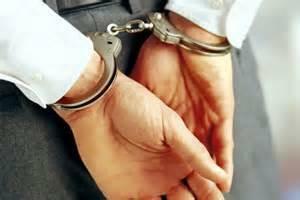 Bail bonds also protect those accused of a crime. Not everyone can handle staying in a jail cell overnight over for months at a time. Jail is not for everyone and some people are required to stay in jail for months before their case is heard. Posting bond also allows the person to build their case outside of jail. Building a defense case is more difficult to build if you are in a jail cell. The person accused of a crime can also continue with their daily life such as going to work without having to worry about losing his or her job while they wait for a trial to begin. But most importantly, bail bonds don’t cost the state or county a thing. Private bail bonds companies don’t cost us (meaning the general public) a thing. If the person arrested has to stay in jail for a long period of time that is very costly to the general public. That means the state and county have to pay for their meals and upkeep while they are in jail. At least if the accused is out of jail, it doesn’t cost the public a thing. A person’s life shouldn’t have to end if they are arrested. The accused has a right as anyone to continue to live their life; bail allows the accused to do just that. A person’s life should not be stopped if they are accused of a crime. Providing bail especially for a minor crime, is not a privilege but a right and it shouldn’t be denied to anyone. In Connecticut, in all towns, including East Windsor, you can count on Afford-a-Bail bail bonds to help you!